During a series of meetings with all sections of staff after joining MUT in 2018, the Vice-Chancellor of the University, Dr Enoch Duma Malaza, told staff that one of his desires was to form a strong bond between MUT and its immediate communities. He said that would be part of his strategic plan. Dr Malaza said the University should be ‘anchored’ within its immediate communities. 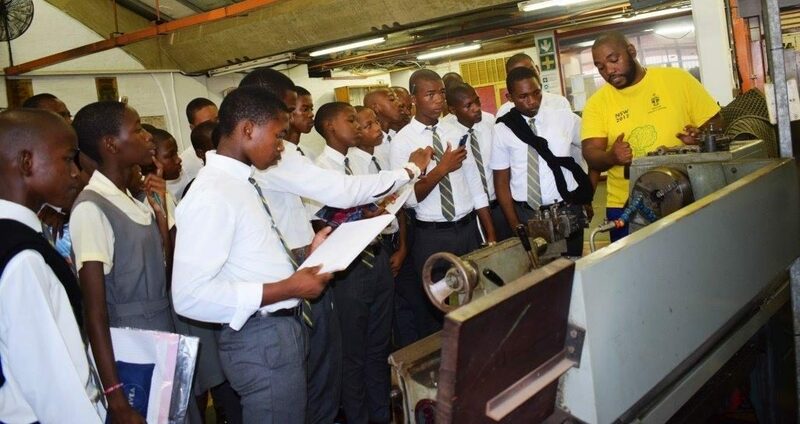 As if they were aware of it, a high school from Umlazi’s J Section, Zwelibanzi High, visited the institution on 26 February 2019 to do some practical work at MUT’s Mechanical Engineering laboratories as part of its grades 10-12 for workshop orientation. Learners who were the part of the orientation were from the Sciences stream. The workshop is conducted at the University on an annual basis. MUT’s lab assistant, Nkanyiso Memela, said the workshop helped the students to put into practice the theory that is learnt from the class. It also helps them understand how to use some of the equipment used for the practical work which they do not have in their school, Nyankiso said. Siyabonga Meyiwa, a grade 12 learner, said he had been attending the workshop since he was in grade 11. He said attending the workshop has helped him understand the theory part better.